Emily and I are lucky to live nearby these days – a luxury that, until recently, we hadn’t re-experienced since we first became friends back in 2001. As we now get to see each other regularly, I tried to include in my letter some things that we might not discuss in person because of embarrassment, fear, or simply the deviations of conversation. In a loose way, I was also influenced by the kinds of things Woolf wrote about in her letter to Mansfield: reflections on writing, reading, gender, friends. Are there no societal rules for friendship? Is friendship between women still somehow considered subversive? 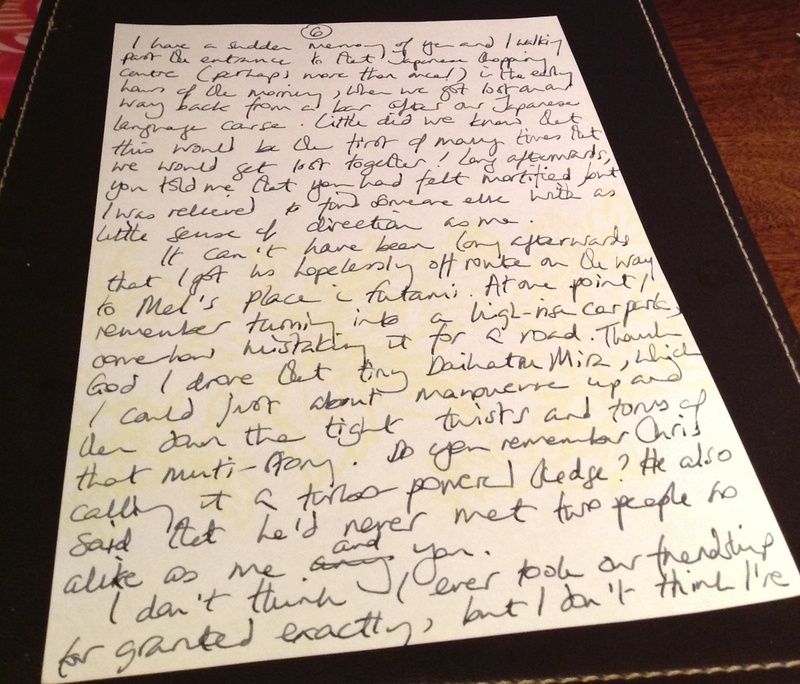 I’ve included pictures of the letter itself so you can click and zoom to see how I ended up exploring these ideas. 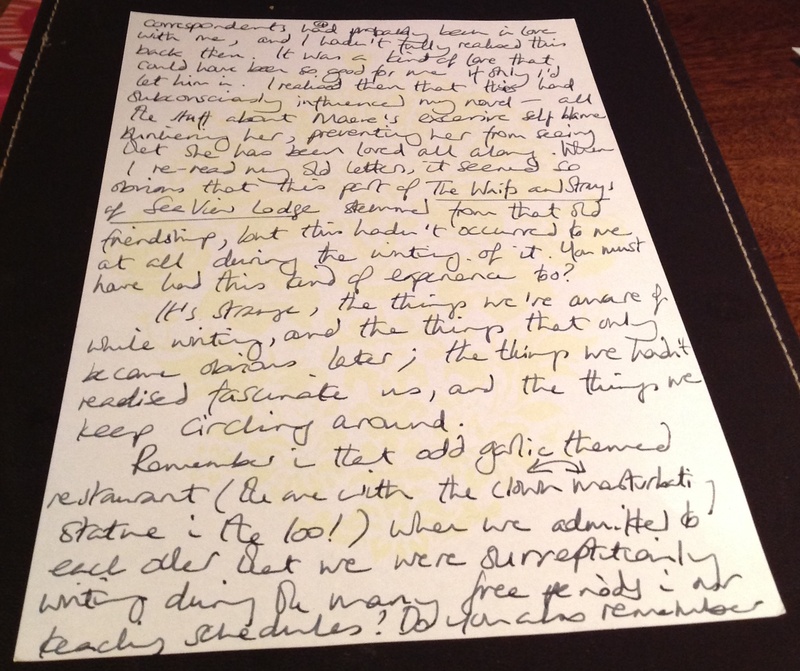 There was something comforting about using the fountain pen that Emily bought for me a few years back – the half-forgotten rub of the nib against paper, paper I bought in San Francisco when I visited one of our mutual friends. 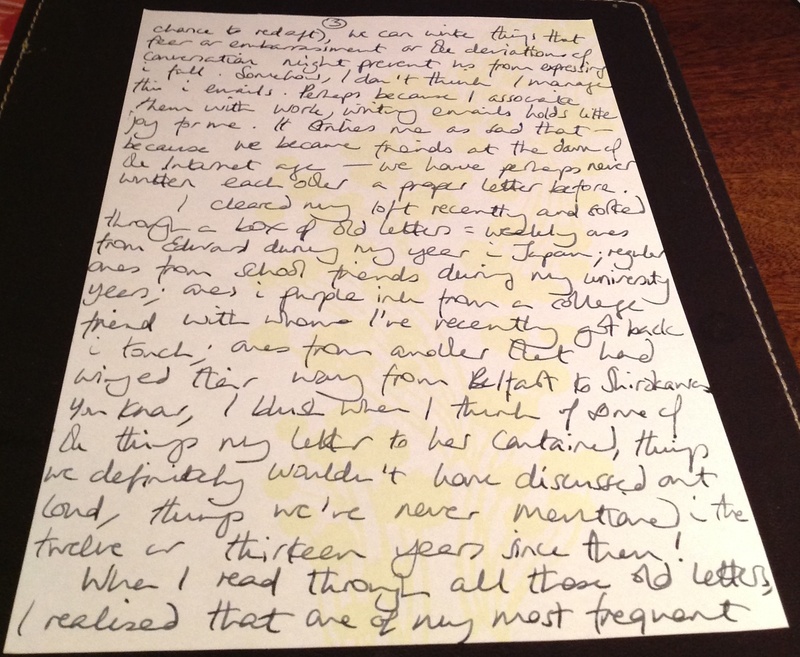 The letter itself became a kind of meditation on the lost art of letter writing: the way in which the pen can explore ideas too difficult for the tongue; the eye can receive ideas too difficult for the ear. Getting lost has itself become a lost art now that so many of us have satellite navigation systems in our cars and GPS on our phones. 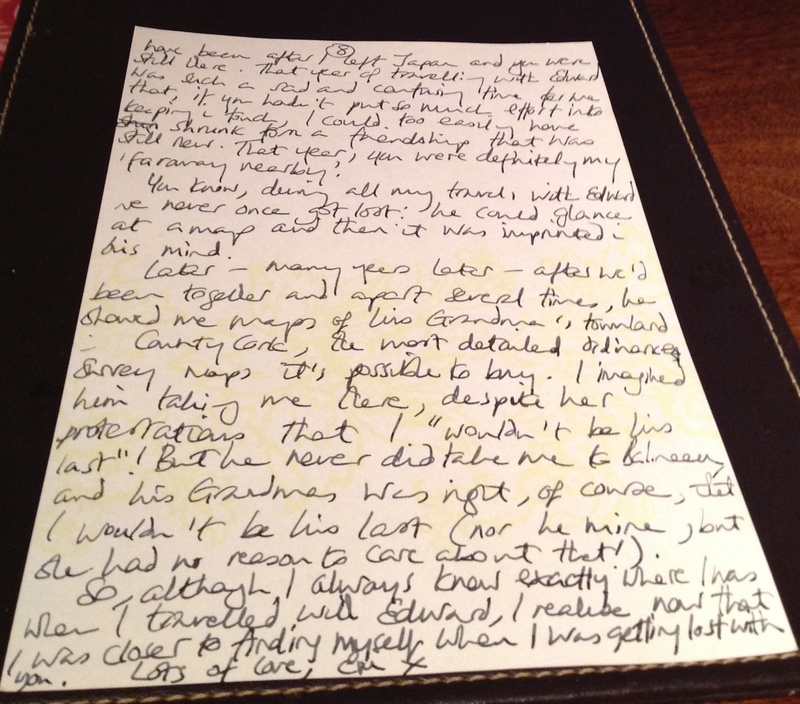 Through writing to Emily, I realised just how much I valued my many experiences of getting lost with her – most recently in Notting Hill on the way back from Book Slam; but also last year in Bayswater on the way to Porchester Spa; and once when we were stranded at a remote station in Cumbria with no idea of our hostel’s address. In this letter, I reminisced about the times we first got lost together in rural Japan – joyful occasions when we began to realise just how much we shared – and, as I wrote, it occurred to me that the experience felt surprisingly like being found. Please use the ‘Leave a Reply’ facility below to let us know about the kinds of things you wrote in your letters. We can’t wait to hear. Click here if you’d like to be reminded of this month’s challenge. Thank you for that beautiful letter, Emma Claire, which I couldn’t resist reading in snapshots on the screen, but will enjoy savouring more slowly when it makes its appearance at my home, hopefully today. I was interested to see what emerged in those eight pages. 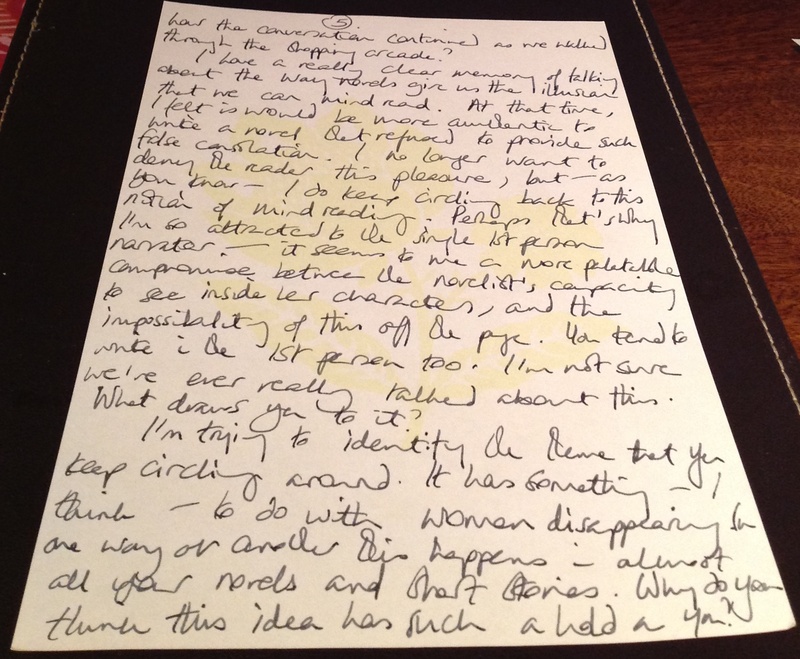 There’s overlap with some of the things I’ve been jotting down in my notebook: books to recommend, approaches to writing, themes I’ve noticed in your work and mine. I was struck by the similarities, but also the differences, how incidents and images that clearly loomed large in your memory had almost faded from mine altogether. I was surprised by how many new things I learned about you from reading the letter – another surprise to me, considering how close we are. 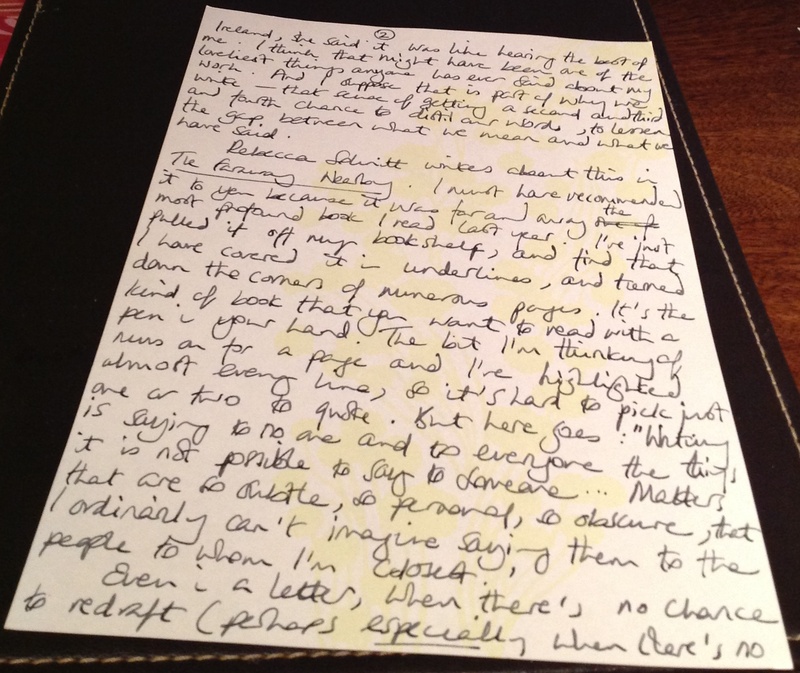 Here’s a picture of my letter to you at the start of its short journey. I’m looking forward to hearing about some of your thoughts on reading and writing and friendship, and hopefully to being both reassured and surprised in turn. Loved reading your letter to Emily. So lovely to know how mutually supportive you are both intellectually and emotionally. I look forward now to writing to my very dear friend of over 50 years. We’re looking forward to hearing about what you write! I spent Sunday at Hartwell House, a lovely historic National Trust hotel. The magnificent writing desk in the drawing room beckoned to me as the ideal place for me to while away an hour writing to my dear friend Frieda. We were an inseperable duo in our teenage years. 40 years plus ago, Frieda married her lovely husband Alan and sailed away to New Zealand where she has lived ever since. In these days of e-mail and Facebook we have instant if rushed communication on tap, but my rambling missive penned whist enjoying traditional afternoon tea on a winter`s Sunday afternoon, gave me a chance to experience a much less frequent pleasure nowadays. Thank you Emma and Emily for challenging me to put pen to paper again. 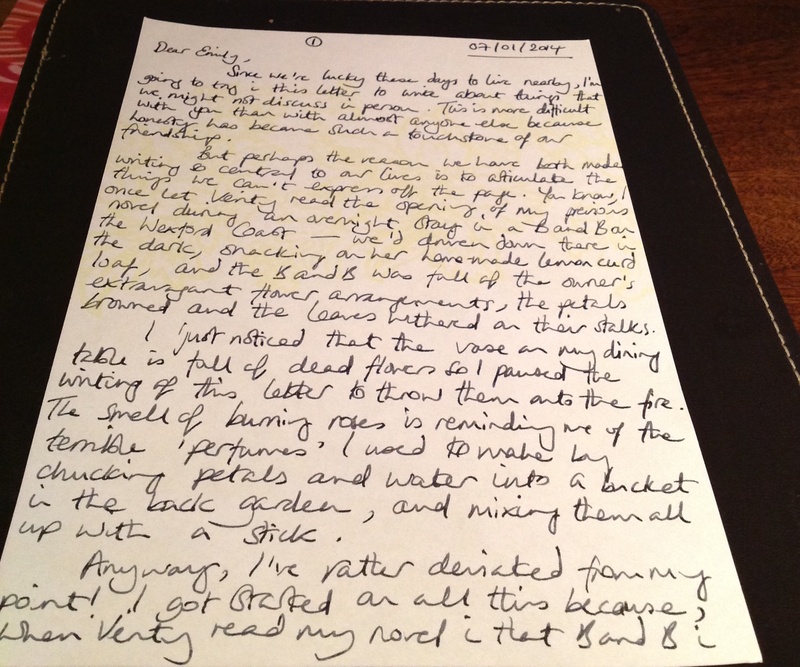 Thanks so much for sending us this picture of you writing at Hartwell House’s grand desk. 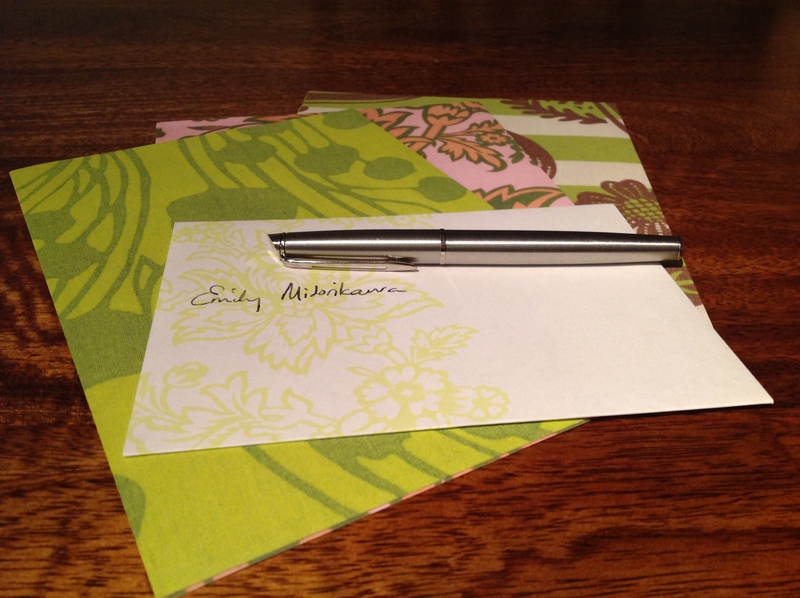 We’re so glad that you took up this month’s challenge, and that you enjoyed reacquainting yourself with letter writing. 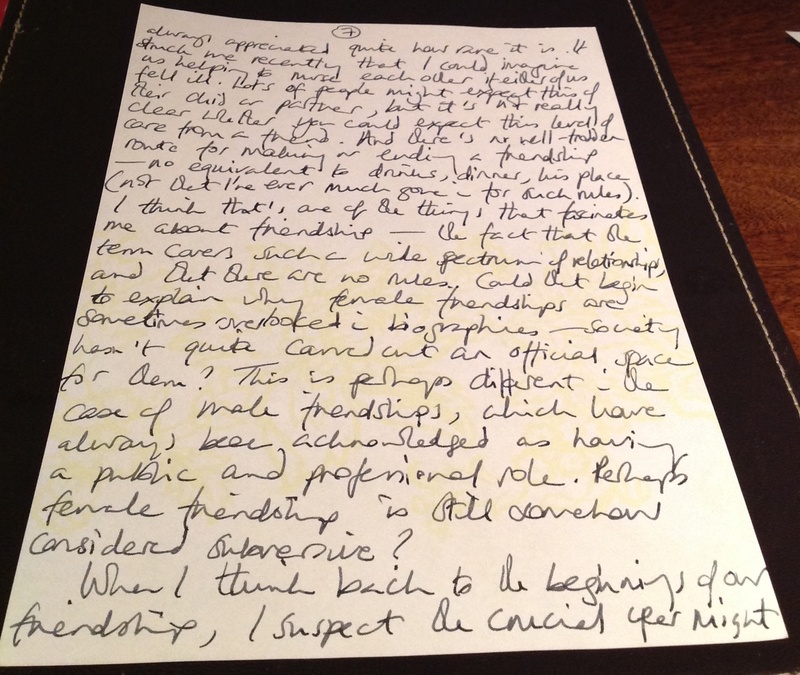 It was especially heartening to hear that you took the opportunity to write to such an old and dear friend. We do look forward to learning about Frieda’s reply: anything that comes as a surprise; memories that return; favourite lines. I love this story, Lucy. Thanks for sharing it on here. I’d love to know more about Chinese traditions of letter writing. Why do you think your mail attracted so much attention: its frequency or the decorations?